Burning your candle properly is essential to your household. 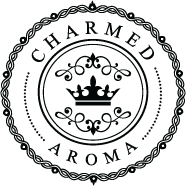 Charmed Aroma wants to leave you with a few warnings and tips to ensure safe burning. Do not reach into the candle to retrieve the ring (in the foil), while the candle is still lit. Never leave a burning candle unattended and always keep the candle within your sight. Burning that last 1/4 inch is not safe, since there is no more wax to contain the heat. The jar will get hot very fast and has the potential to shatter. Never leave your candle burning unattended. Be sure to put it out before leaving your house. Do not burn broken candles. Burn candles no longer than 2-3 hours. After 3 hours, let the wax settle before re-lighting. Burning a candle for extended periods of time can cause blackening issues. Keep your wick trimmed to 1/4 inch above the wax level. For a better burn, trim after every single use. Do not use water to extinguish the flame.